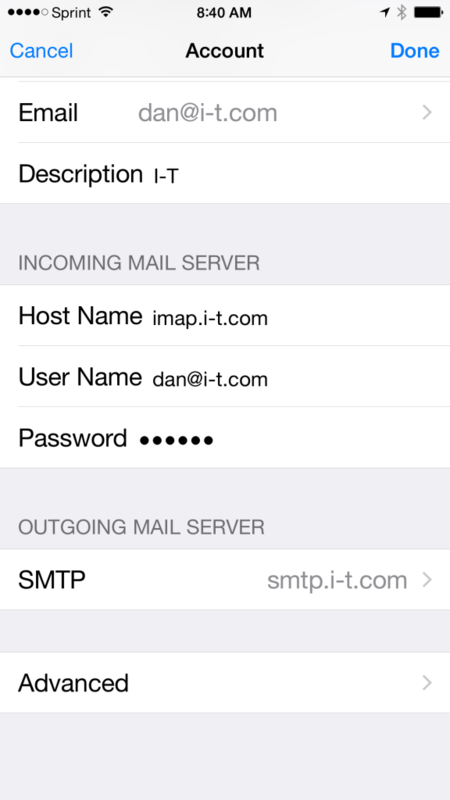 The basic issue is that the settings on the phone need to match the settings on the email server. The problem is that the setting on the Iphone has the root directory for the mailbox as ‘/’, but it should be ‘INBOX’. 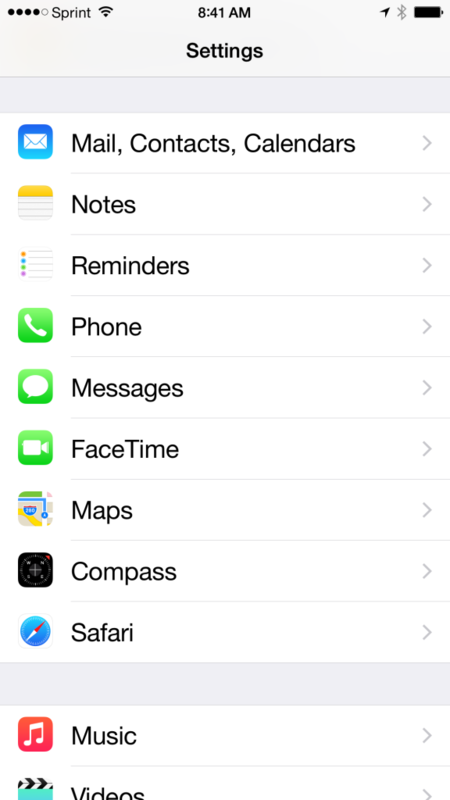 Here’s how to change the settings on the Iphone…. Go back to Account, and touch the ‘Done’ button at the top right of the screen. Note: Since you just changed the path to the mailboxes, you might need to go back into the Advanced settings and verify or change the various email folder settings (i.e. Sent, Trash, Junk, etc.) If needed, go back into the Advanced settings, select the folder (in this example, the ‘Drafts’ folder), it will then bring the following screen up. Select ‘Drafts’ under the ‘ON THE SERVER’ line. Do this for each of the corresponding folders in the email account (Sent -> Sent on the server; Trash -> Trash on the server; etc). 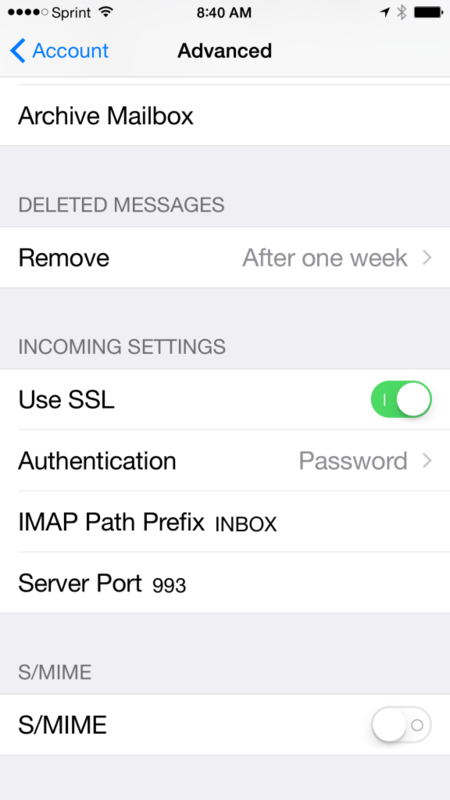 Once this is done, you will be synced properly for that email account on the server, on your iphone, and on your computer. 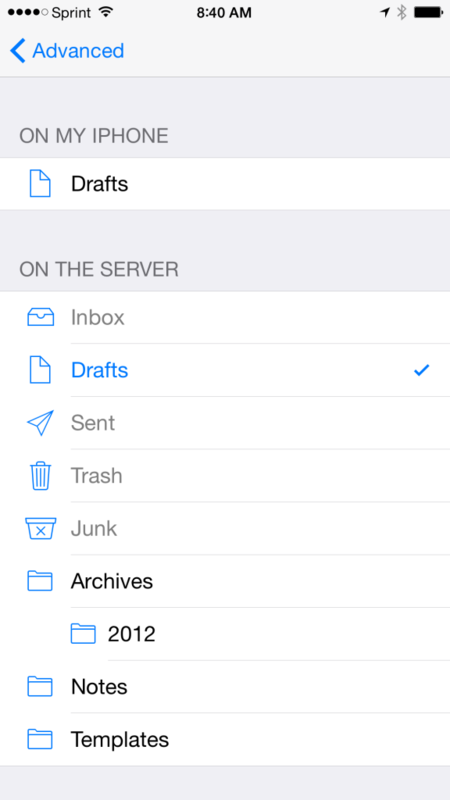 This entry was posted in Cloud based computing, iPhone, Mobile, Uncategorized by admin. Bookmark the permalink.